Its located at East of Bali, Banjar Dinas Temukus, Desa Besakih, Karangasem Regency, its take about 1,5 -2 hours drive from Airport, This is a new attraction for local tourist, but why we not try visit this spot and combine with Others visit ? 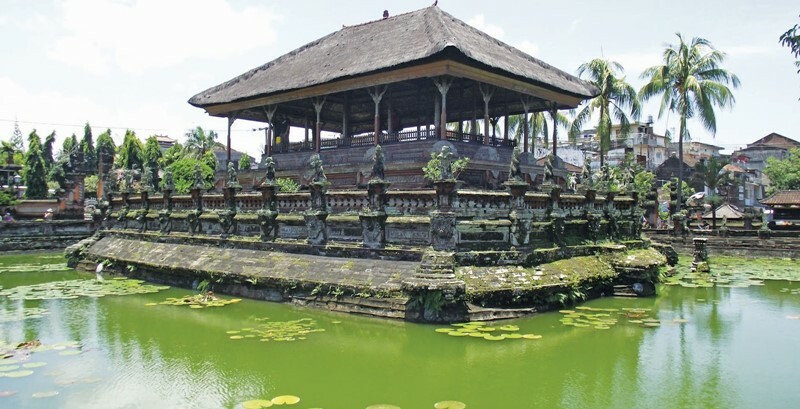 Bali as the island of thousands Temple is the best holiday destination in the world and been proofed with pinned as the best Travelers choice awards from TripAdvisor site. Please book your day tour with our Bali car charter accompanied by our experience, friendly driver. Before this park built by the local community, we can see immortality plants, Kasna (Edelweis Bali) Like tapestries, white, Bali Edelweis is spread throughout the community gardens with natural grow and harvested for sell in the market. And other local flower of Marigold flower coloring the white valley at Temukus. 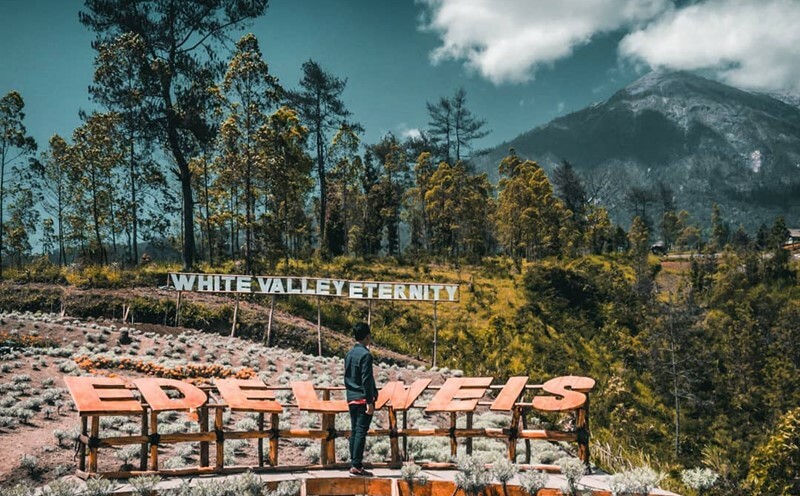 However, the existence of this white valley is only near Galungan and Kuningan. Because, eternity plants must be harvested before the feast for the ceremony needs. Now we can see the Edelweis flower anytime at Taman Edelweis park, The concept of this garden is to preserve the flowers and also as an education media for the local especially for the children, understanding its existence of the Kasna Edelweis is very important, how we keep it grow, as we know the flower is use for ceremony and ritual needs. Beside the flowers, we can take photo at the windmill around the park and relax at the hut while feel the breeze and enjoy the view. The view are gorgeous especially during bright weather, we can see the Peak of Agung Volcano which is erupted last November 2017, Its not massive eruption like 1963, just spouting ash with volcanic earthquake. More local visitors will come on weekend with their family just for picnic and selfie, this is because the visitors share their photo with park on Facebook & Instagram, make this spot more popular and famous among the local. First option, you may drive via Klungkung city, then drive uphill via Bukit Jambul, Rendang, then you will be here. Second option, you may drive via Bangli or Gianyar, and uphill pass Kintamani, turn right pass the forest of Pempatan, toward east, then you will be here. Can we visit other tourist spot after or before visiting Edelweis Park? 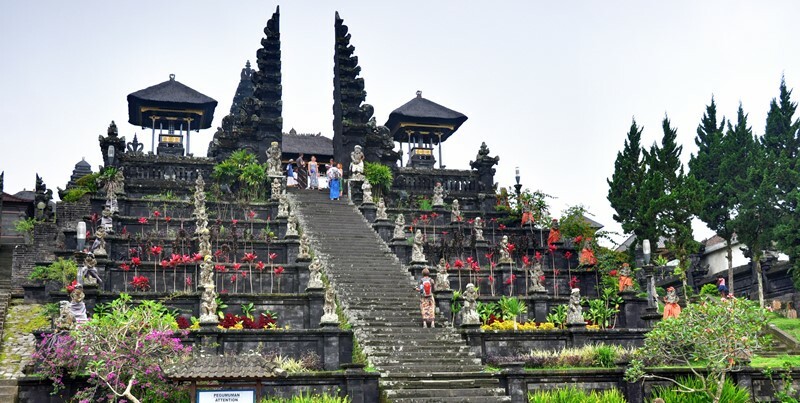 Located near Mother Temple, this spot can combine with the trip to Mother Temple, its about 30 minutes drive uphill, you will be at the Biggest Temple in Bali. Its take about 40 minutes drive from Kintamani, we will be at the Edelweis park, Kintamani is most famous spot for tourist in Bali, offers a marvelous view of Batur Volcano & Lake Batur. Normaly stop here for lunch while enjoy the view. If you driver via Klungkung, we can stop at Kerta Gosa, then continue to Edelwesi park, its about 45 minutes to get there. Kerta Gosa is the Royal Court of Justice during Dutch time. After visit Edelweis Park, we may drive you to Mahagiri resturant with Its amazing rice fields view and Mount Agung as the background, Best time come around 12.00-1400 for lunch time. Its about 30 minutes drive to get here from Edelweis park. 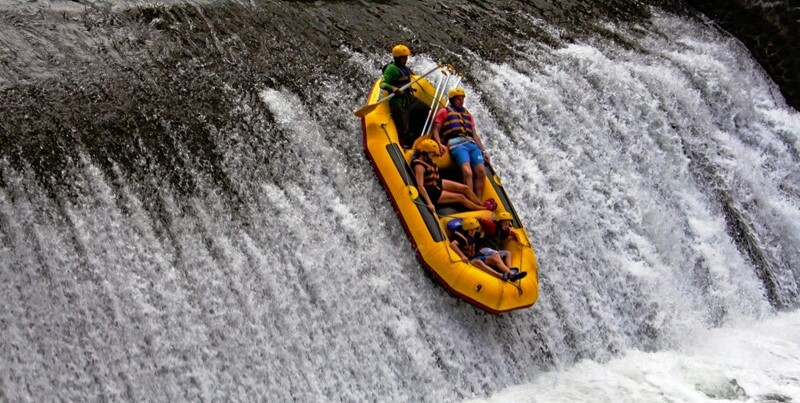 After visit Edelweis park, we can drive another 30 minutes to east and we will be at Telaga Waja river, we can join on the white water rafting adventure along 18 km white crystal water with 3-4 grade and jump at Bajing dam with 3 meter high for 2,5-3 hours rafting trip.